We’ve worked with lots of great people over the years. Here’s what just a few have had to say about Swift Results, Inc..
Want to share your own experience with us? Send us a note to let us know what working with Swift Results, Inc. has been like for you. Congraultaions to Fabian on purchasing his first home from us. 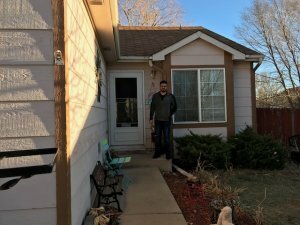 Fabian successfully purchased his home after renting it for just over 2 years. 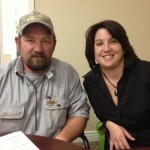 Kevin and Joyce Davis rented for 8 years and then went on to purchase their home. They went through job changes, illnesses and other challenges and pulled it together after a lot of work. I rented a home to own two years ago in a beautiful part of Colorado Springs. As a single person, who is also self employed, I thought that owning my own home was going to be a very difficult process to accomplish. Lori helped me with the process every step of the way. I closed on my house June 1, 2015. Follow her instructions, do the classes and go to the monthly meetings. Then you will be on your way to success. Life happens and it is nothing to be ashamed of. This is a way to put your best foot forward again and get back to where you were, or start to build that family home that you simply have not been able to save for yet or get your credit to where it needs to be. I would recommend this company and Lori to anyone out there, 100% . We don’t know what we don’t know. But Lori does…. 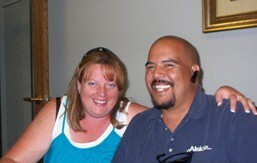 The Archuletas were giggling when they purchased their rent to own home. Thank you for your help in making our dreams come true! The experience for my wife and I during our home search has been outstanding. 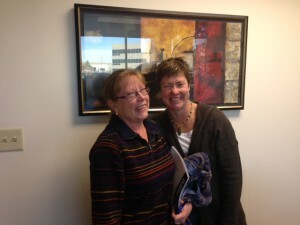 Lori has been very generous and accommodating to our every need and the rent to own program has been exceptional. There had been countless of times that we needed to look over a house and Lori was understanding. I would strongly recommend anyone who is looking for a home to talk to Lori. Tell her what your needs are and she will find the right home for you. We are extremely excited and happy with our new home. So get together with Lori and be prepared for a great experience towards your new home! My family and I had been viewing the website for approximately two years before we decided to pursue contacting Lori about a home. Primarily, that was because we were not sure about engaging in a “rent-to-own” program and we had heard that programs like that were not ideal and sometimes were dangerous to get into because they turned out to only be beneficial to the other party instead of being mutually beneficial. 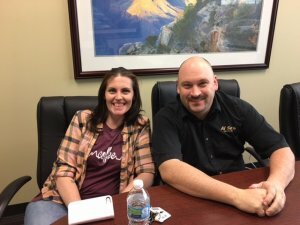 When we finally decided to contact Lori, we were in a situation where we had been given notice to move out of the rental house we were in, and frankly, we truly wanted to have a nice home that we could look at buying, but we were going to need help. 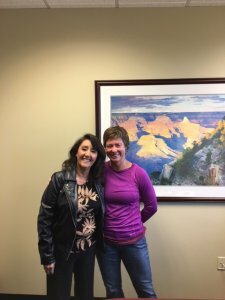 Lori and her company made it possible for us to get a very nice home in a wonderful neighborhood, and we absolutely LOVE this home. She communicated with us, helped us and assured us that no matter our situation, we could achieve home ownership with some hard work! From the first phone call we were impressed with Lori’s willingness to help us and answer our questions. 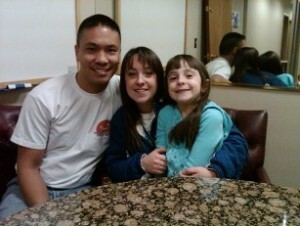 We spoke with other companies before and she was By Far the most helpful and personable. Our only complaint was she was so quick to get back with us that we felt slow! This has been a great experience for us. After finishing the second module I got started on my timeline goals and have negotiated a payment plan and received a discount on outstanding balances already, even my credit card was willing to issue a credit to match my last payment to them. I was surprised that it didn’t take as long as I thought it would…Anyway things are rolling along and we’re looking forward to the next class.